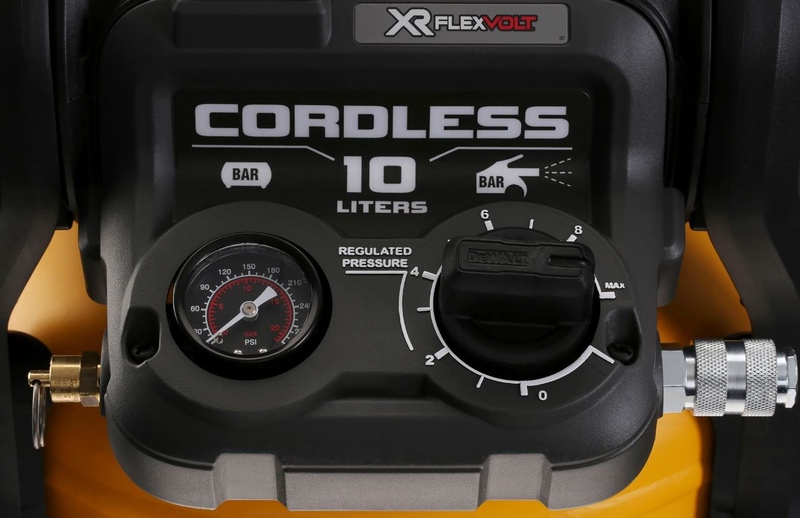 Dewalt’s XR Flexvolt range guarantees power and performance. Say hello to the Dewalt Compressor, the latest tool to prove that point. Carpenters and joiners can be rest assured that this new item ticks all the boxes. 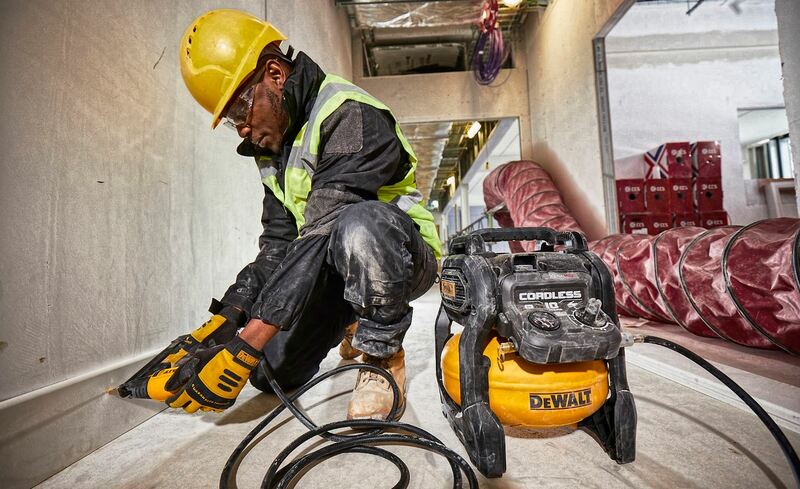 The Dewalt Compressor makes pneumatic nailing completely cordless, all while boasting the power of a corded machine. While it is most renowned for its 2nd fix brad nailing applications, the DCC1054 is far from a one-trick pony. It can additionally be used for air powered paint gun tasks and vehicle tyre inflation, among other jobs. As the world’s first 54V cordless air compressor, there is a lot to be impressed by. We take a look at some of the product’s key features below. Anyone whose job regularly involves the use of brad finish nailers, for example, cannot go wrong with the Dewalt Compressor. As well as delivering flexibility in abundance, it also boasts supreme runtime. The cordless nature of the compressor essentially allows you to work just about anywhere. Furthermore, the Dewalt Compressor helps with productivity. The OneTurn Regulator (see video below) is one of its most standout features, saving you time and ultimately allowing you to get to work quicker. To summarize, the Dewalt Compressor is a fantastic tool for anyone using 2nd fix nailers. Impressive performance, the flexibility to work almost anywhere and low maintenance are just some of the reasons to buy now. Order before 17.30 for free next working day delivery. Available in selected stores, subject to stock availability.